Hi Everyone! 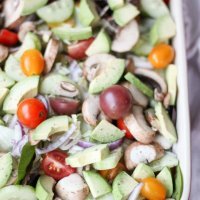 As soon as Spring and Summer rolls around, I am looking for satisfying salads to have with dinner or sometimes as a meal. 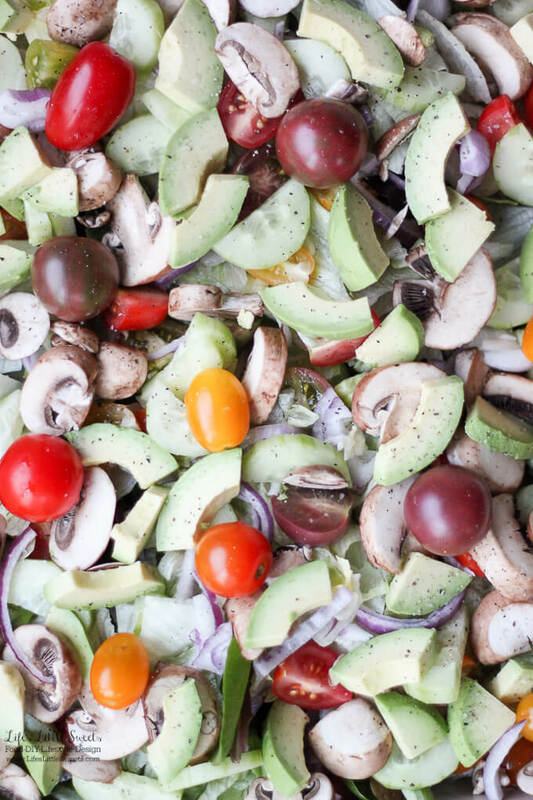 This Avocado Garden Salad Recipe fits that bill. You can top it with chicken, steak or just have it as is with your favorite salad dressing. 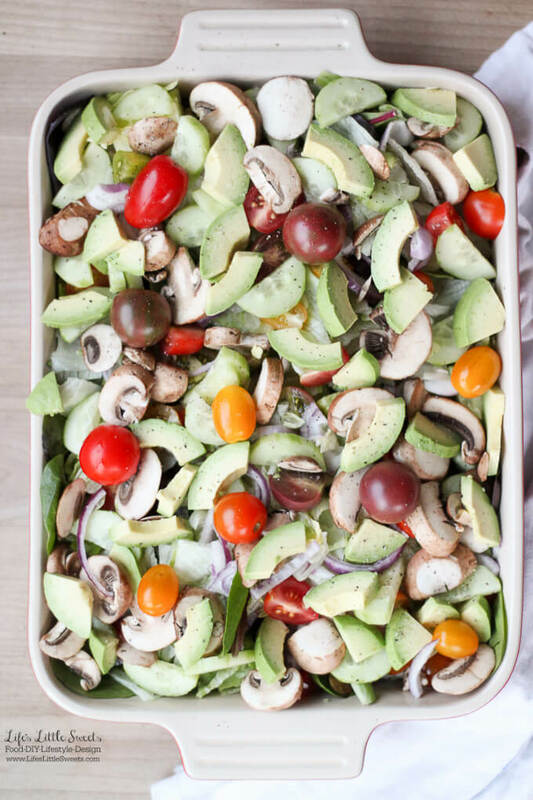 I love the creaminess that the avocado adds to this garden salad. 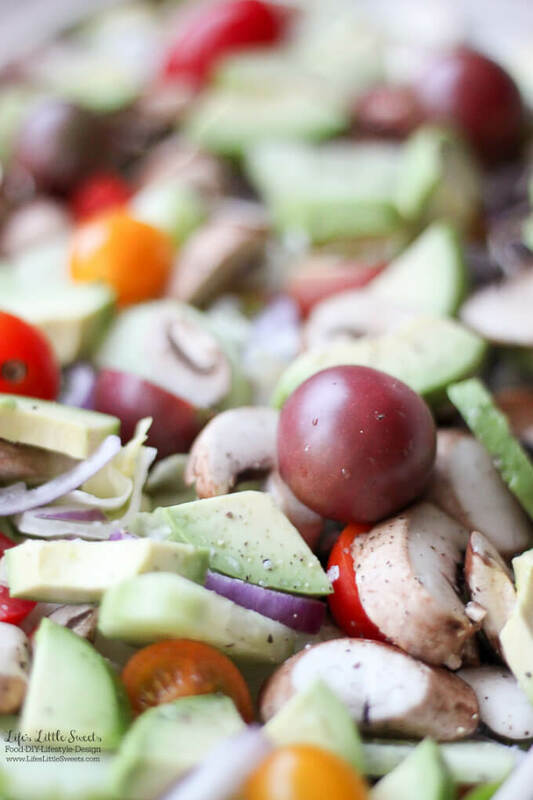 There’s a lot of crunch and texture with all the different ingredients like English cucumber, baby Portobello mushrooms, red onion and spring mix with Iceberg lettuces. 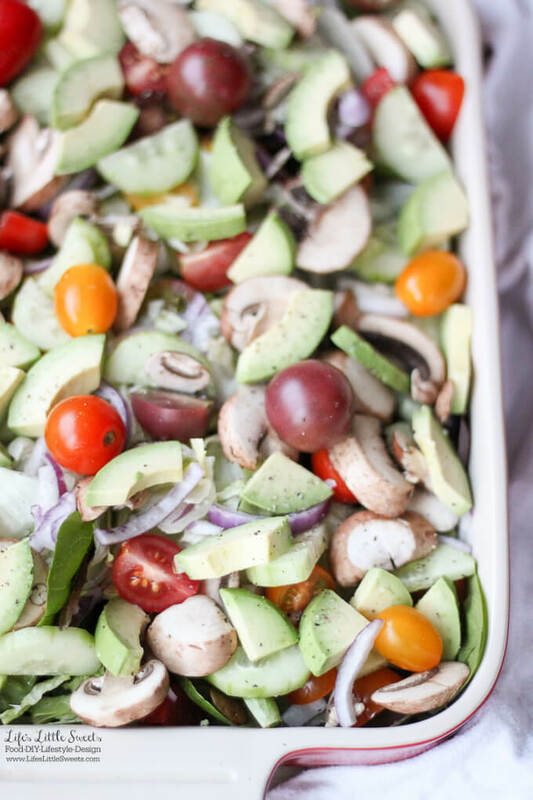 There’s also a lot of color which makes it a pretty salad to bring to any BBQ, potluck or Spring/Summer holiday – or any time of the year for that matter! 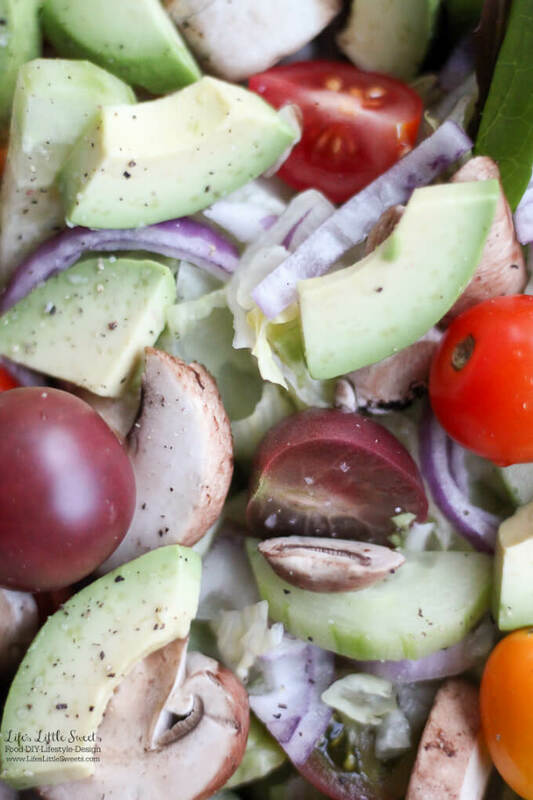 If you are looking for a homemade salad dressing to pair this Avocado Garden Salad Recipe with check out Homemade Buttermilk Ranch Dressing, Lemon Dijon Dressing, or Homemade Ranch Dressing. 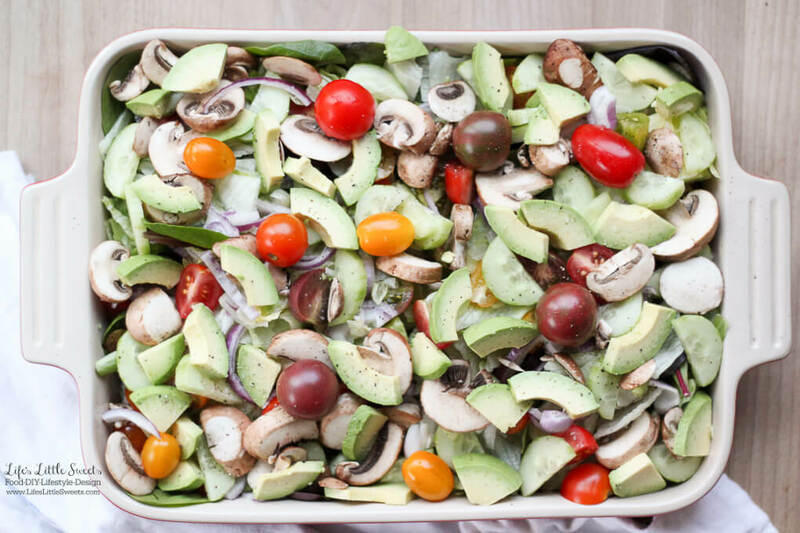 Make this Avocado Garden Salad Recipe for your next gathering! Wash, dry and prepare all vegetables. Add salad greens and Iceberg lettuce first, then top with remaining vegetables. Serve in a 9 x 13 inch casserole dish or similar dish with your favorite dressing. Top with kosher salt and fresh ground black pepper if you wish. Enjoy! 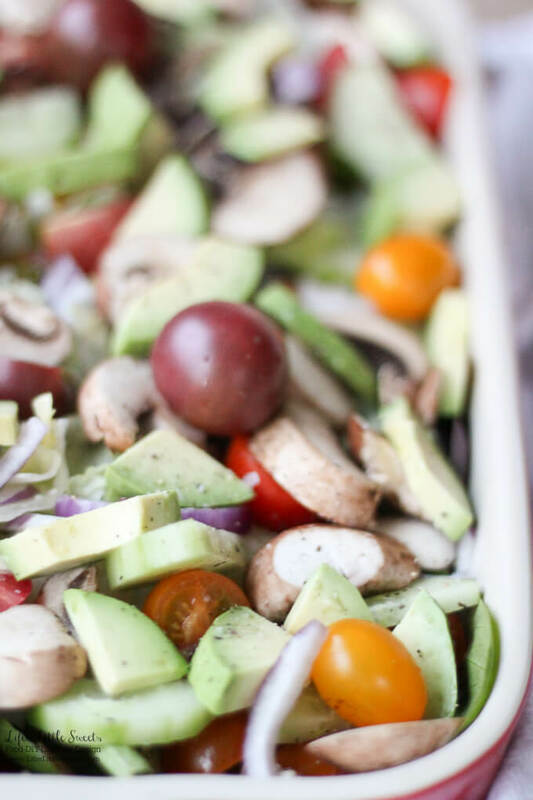 You can make this salad a day ahead and keep in the refrigerator and add the avocado just before serving because it browns if left out.